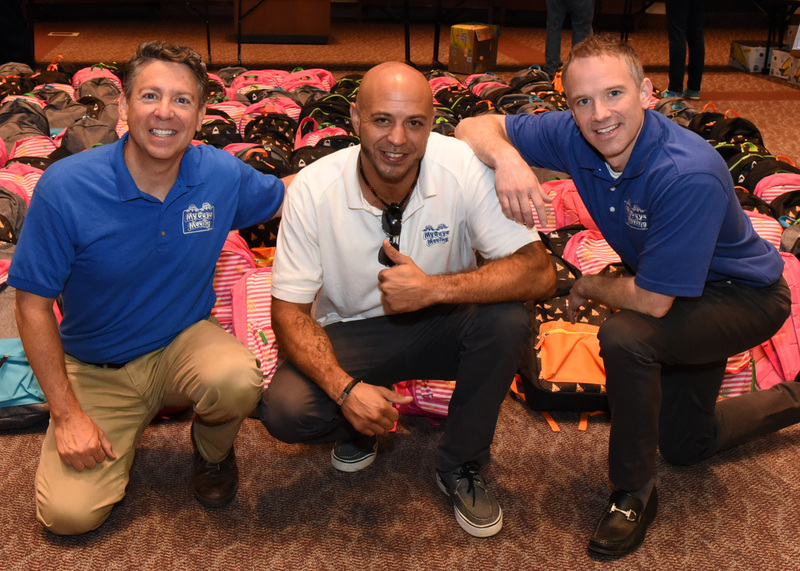 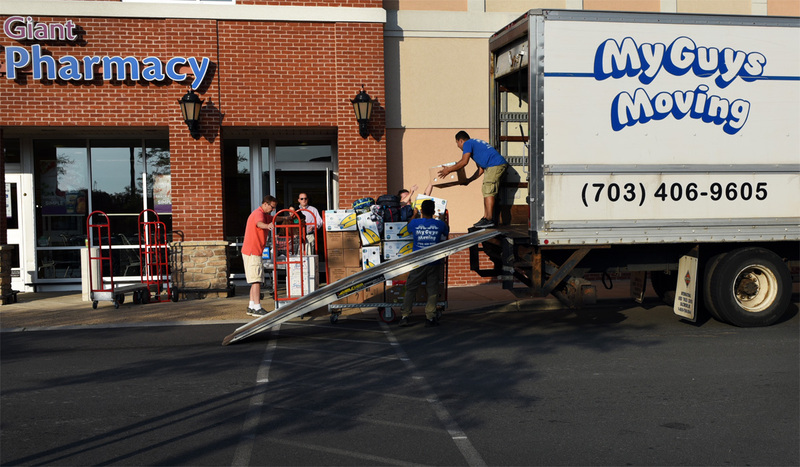 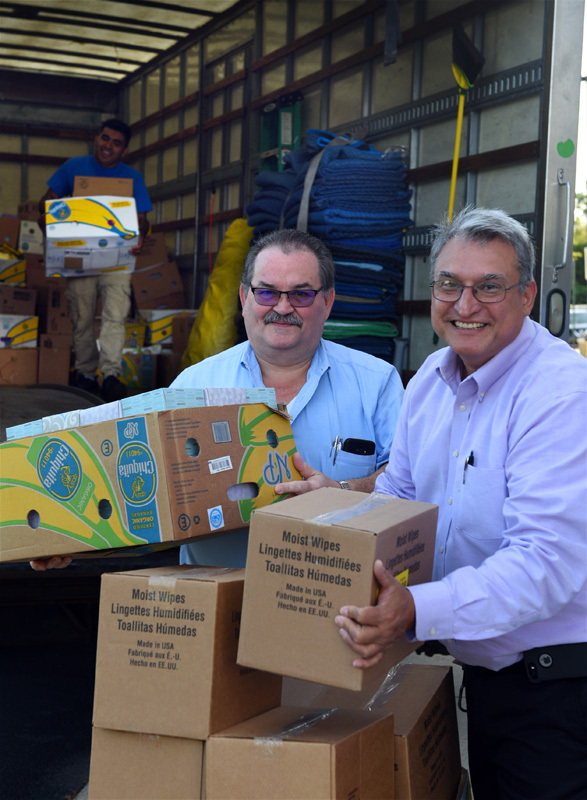 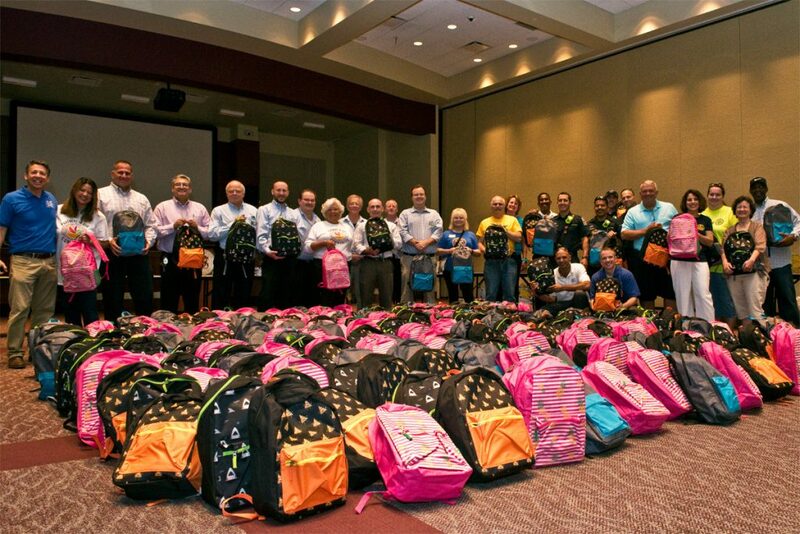 Ashburn, VA – Giant and Costco joined forces to provide 1,250 brand new backpacks and $23,000 worth of school supplies for deserving kids in the Northern Virginia area. 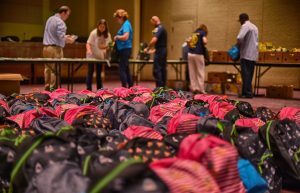 To fill the backpacks, donations were accepted at seventeen Giant Food stores across the region between July 13th and August 4th. 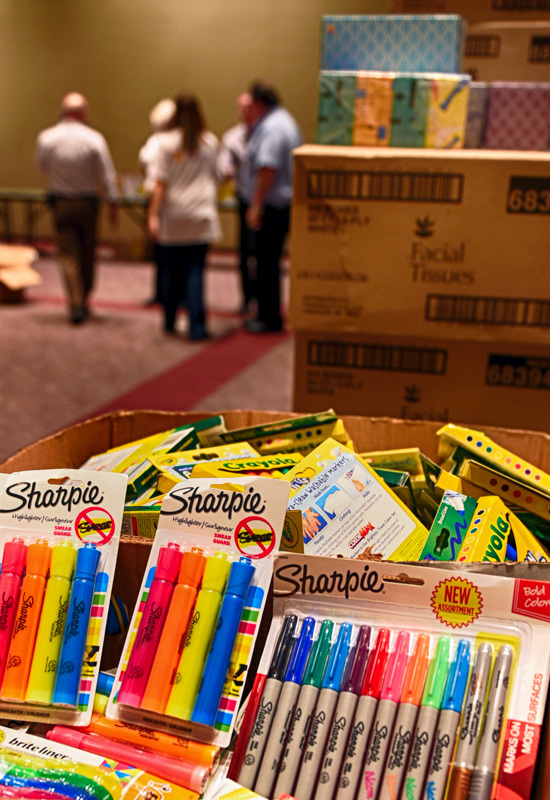 The collection gathered much-needed school supplies, such as composition books, pencils, color pencils, glue sticks, spiral notebooks, yellow highlighters, dry erasers, scissors, Crayola crayons, baby wipes, tissue, vinyl folders, and colorful markers. 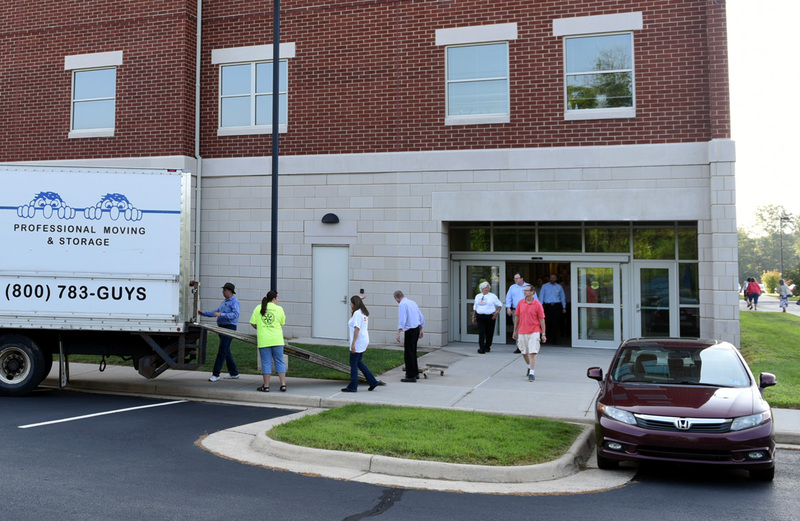 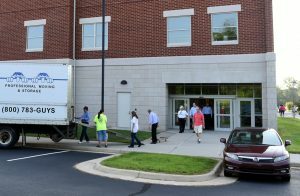 My Guys Moving & Storage moved the supplies across the county to the Loudoun County Public Schools (LCPS) Administration Building where the 1,250 backpacks were loaded with supplies for both Fairfax and Loudoun School Systems. 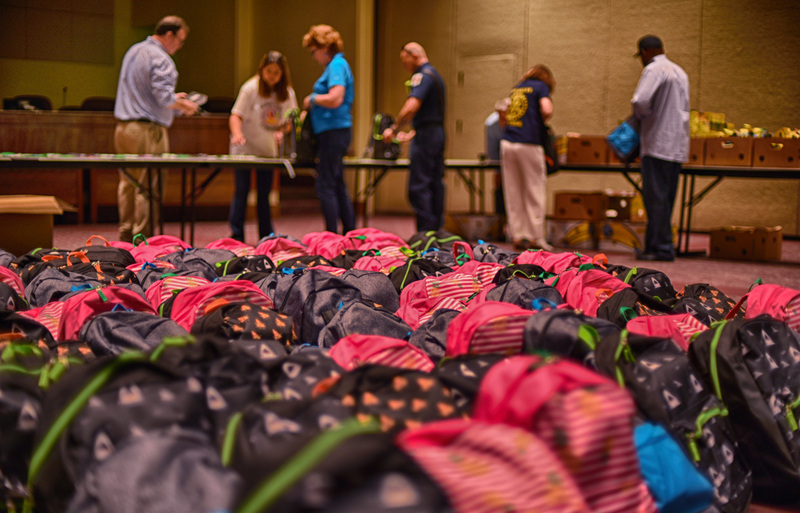 Special acknowledgement goes to the many volunteers and the folks at LCPS, including Wendal Fisher (Retired Head of Outreach), Grant Schafer (Head of Outreach), Brenda Allen, who made the room possible and ran it through risk management, Kenneth Peebles, who coordinated the distribution of the backpacks to all the schools in the LCPS system. Also, Kathy Ryan from Fairfax County Public Schools, who worked with volunteers to get their allocated supplies to Fairfax. 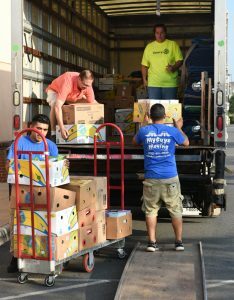 Thanks goes to Joanne Walton & Britepaths, who helped coordinate volunteers, Lynn Dimoff (Purcellville Rotary President) and her club, who came out in force to solicit for supplies, and Dina Abu-Hassan (President of Leesburg Daybreak Rotary) and her club, who also came out in force. 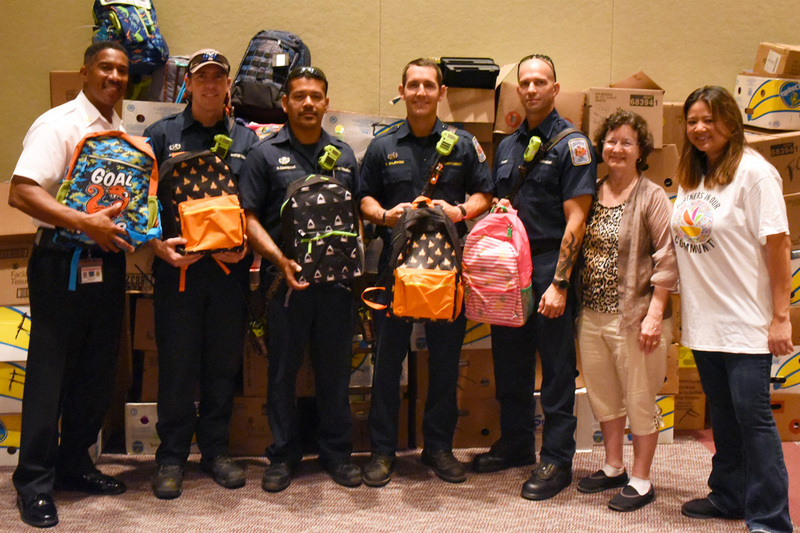 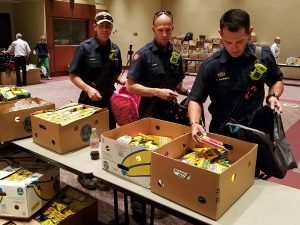 The Loudoun County Volunteer Fire & Rescue and Fairfax County Firefighters & Battalion Chief, Willie F. Bailey, also showed up to help fill the backpacks with supplies. 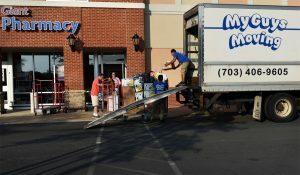 The Rotary Club of Sterling, Virginia, helped coordinate the event, so thanks goes to Rotarians: Susan & Frank Mullen, Colleen Radich, Lynn Ast, Katie Tzipzouris, Ingrid Streich, and My Pham (Giant Ashburn Farms store manager and a Rotarian). Lastly, My Guys Moving & Storage appreciated the opportunity to help the cause by providing a moving truck and personnel: Terry Williams (also, a Rotarian), Brett Burks, Brendan Bowie, Saul and Donnie.